Does the long term usage damage the concret mixer’s wall? Today, a user come to the factory to buy the Concrete mixer and asked:”Does the long term usage damage the Concrete mixer‘s wall” In fact, many new users in the beginning will have such a question.The actual situation is the concrete mixing plant main Concrete mixer‘s wall will not be damaged. 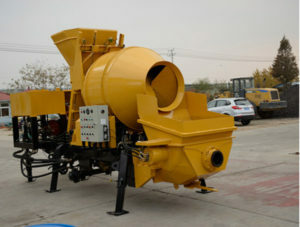 Because the manufacturers has been taking into account this issue in the actual Concrete mixers.Because the concret mixer’s wall uses wear-resistant materials like high manganese chromium alloy synthesis of the wear-resistant tablets and reamer.You can purchase the Concrete mixer wear-resistant pieces directly and replace it. The above wearing parts are using wear-resistant materials, haomei Machinery warm reminder: the user can prepare those parts in advance according to their actual situation.